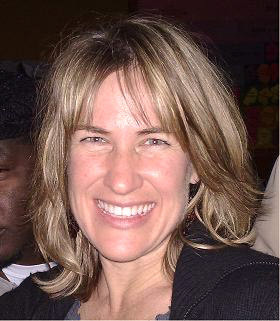 Linda Raftree has worked at the intersection of community development, participatory media and ICTs since 1994. She is the co-founder of Regarding Humanity; an initiative working to change how NGOs, social movements and the media represent "the poor." She has worked on research, strategy and new technology initiatives for Plan, UNICEF, Rockefeller Foundation, mEducation Alliance, and MasterCard Foundation. Linda co-founded Kurante consulting and serves on the boards of the Kiwanja Foundation (creators of FrontlineSMS) and the International Center for Advocates against Discrimination. She coordinates Technology Salons in New York City, blogs at ‘Wait… What?’ and tweets at @meowtree. Linda is really excited to be part of the jury for the Rusty Radiator awards, as she sees highlighting some of the worst and best examples of charity videos as a good way to generate discussion around ethical representation of "the poor" in the media, advocacy and fundraising work. This discussion can open the door to a wider conversation on a broader set of issues and attitudes that need to be addressed in the aid industry as a whole. Jason is a young, fun loving, bright-minded individual who is passionate about providing quality education across Africa for all. With a strong background in Aeronautical Engineering, reaching for the skies is something he has no problem with. At age 19 he founded his first company which has grown into Funda Online - an entity that focuses on building mobile and web applications for the academic and social development of learners. His passion for sharing has led him across the globe in of search of answers to global problems. With a good mind for analysis and a big heart for development he is an excellent candidate to the jury of the SAIH Rusty Radiator Awards. Born in Masindi, Uganda, Teddy grew up in Uganda, Kenya and the United States and now lives in the Canada and the US. As a technology enthusiast, Teddy Ruge writes and speaks extensively about Africa's current renaissance driven by technology, youth and the Diaspora. He is a frequent contributor to several online publications including CNN, Globe and Mail, Wall Street Journal, The Guardian and he is the host of the digital Continent Podcast on iTunes. Teddy Ruge is a cofounder of Project Diaspora; an online platform for mobilizing, engaging and motivating members of Africa Diaspora to engage in matters important to the continent's development. He is also a cofounder of Hive colab - Uganda's first technology incubator and co-working space - who provide a really cool co-working and incubation space in Kampala, Uganda. He is the funder of UMPG, Itd., - an agricultural value-added exporter in his hometown of Masindi, Uganda - because, as he puts it, "Africa's agricultural sector shouldn't stop at raw materials exports". In 2010 he launched Villages in Action; the first social media powered, live-streamed conference from a village, to mark the 10th anniversary of the Millennium Development Goals. In 2011 he was awarded the White House Champion of Change for his work to bring change to his East-African community. You can follow him on Twitter: @tmsruge." Caitlin L Chandler works in international public health, with a focus on young people, HIV and human rights. She was the founding Director of the HIV Young Leaders Fund, and has previously worked or consulted for UNAIDS, the Global Youth Coalition on HIV/AIDS, aids2031, the Asia Pacific Network of People Living with HIV, and Youth Voices Count. Caitlin is also a contributor to the online site, Africa is a Country, "the blog that's not about famine, Bono, or Barack Obama." She is currently based in Addis Ababa, Ethiopia. After years cringing at the fundraising campaigns of some nonprofits, she was motivated to contribute to the Rusty/Golden Radiator Awards to help spark public dialogue on issues around media, aid and development.